If you’re trying to decide between hardside and softside luggage, it can be a tough choice. There are pros and cons to each depending on what kind of traveling you do and which feature sets are important to you. To start, let’s just say that we’re bigger fans of softside luggage. 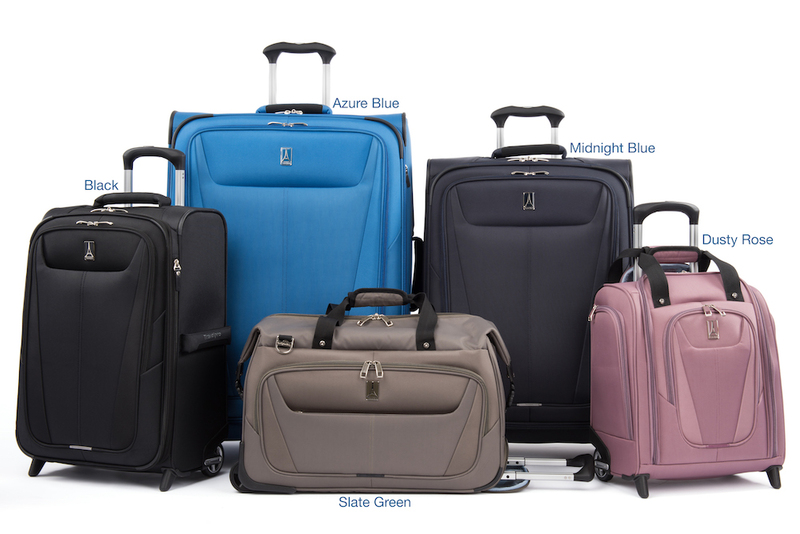 Most of our luggage lines are softside, although we do offer a few models of hardside bags. (And I’ll even admit to wanting one of those brushed aluminum briefcases when I was a kid because they looked so cool.) We’ve found that more people want softside bags and we have followed the market demands. 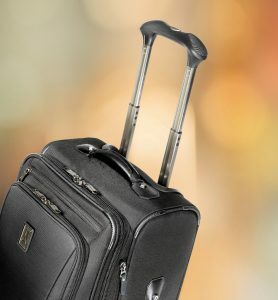 The Maxlite 5 21″ spinner, our lightest softside luggage. First, softside luggage is usually lighter than the hardshell bags. For example, our Maxlite® 5 21″ spinner weighs 5.4 pounds empty, and it’s one of the lightest carry-on bags in the industry. In some cases, hard shells can be lighter than soft shells because they don’t always have interior reinforcement, but then you could be sacrificing durability for weight. Speaking of durability, softside bags have a bit of an advantage because hard shell bags can crack and break when they’re dropped. They can do a better job of protecting what’s inside, if the shell is really thick and rigid but again, that comes with additional weight. Packing may be an issue when you look at the configuration of a hardside versus a softside. For the most part, the hard shell bags are split right in the middle, giving you two nearly-equal halves to pack everything. This can be a bit of a problem if you’re trying to pack bulky items. On the other hand, a softside bag is usually a single compartment with a flat lid. The whole suitcase is a single packing space, which lets you see how much will fit without a lot of closing and repacking, closing and repacking until you finally get the lid shut. And space is a problem with hardshell bags. Many of them cannot be expanded, and you certainly can’t compress them to fit into a cramped overhead bin. There, the softsides have the advantage. Not only does the fabric give a little bit, so you can close the lid a little more easily, but many of them come with expansion zippers that give you a couple extra inches of room. Softside bags also have added accessibility in the forms of exterior pockets. Nearly all of our softside carry-on bags have pockets for water bottles, folders, reading material, and even a large exterior pocket to stick a light jacket or your laptop. We even offer some carry-on models in our Crew™ 11 and Platinum® Elite collections that feature a small pocket for your rechargeable battery pack that integrates with an external USB port so you can charge your phone while you move. For many business travelers, the softside bags are the preferred choice, especially for carry-ons. They’re lightweight, have external pockets for extra storage and convenience, they can hold more, fit into tighter spaces, and packing is much easier because of the single compartment. Keeping them clean and dry isn’t a problem for many business travelers since you’re usually going from the apartment to your car to the hotel, and so on. If you’re worried about the elements, our bags feature a DuraGuard® coating which protects the bags from moisture and abrasions. What do you think? Do you prefer softside or hardside luggage? Which ones have you had in the past? Would you switch? Share your thoughts and stories on our Facebook page, or on our Twitter stream. Starting June 30 it will be more difficult for international travelers to bring powders on their trips, at least in large quantities. 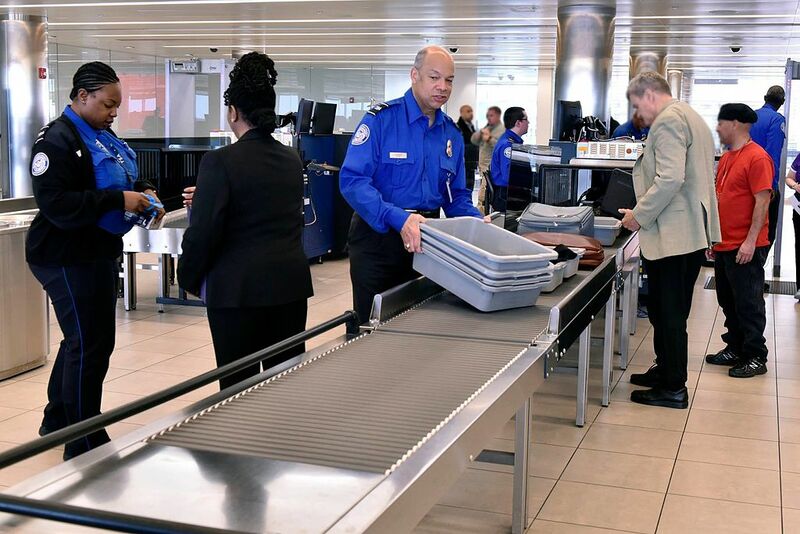 The Transportation Security Administration (TSA) has adopted a stricter policy on baby powder, protein powder, dry spices, coffee, tea, and more through airport security. 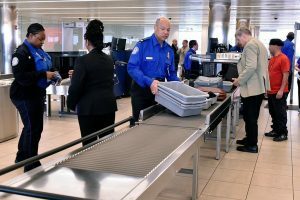 Basically, the new regulation states that any passenger on an inbound international flight with 12 ounces or more of powder might be subject to additional screening at security checkpoints. 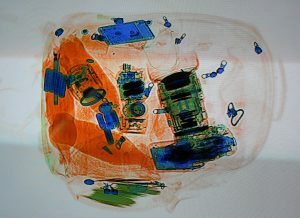 What’s more, if TSA agents can’t identify the powder, then it may be confiscated and thrown away. So while it may not be a problem for coffee and tea drinkers, since that’s easily identifiable, certain spices may pose a potential problem. This means even dry baby formula could be subject to a search or even confiscation. Of course, this only affects international flights coming into the US. Flying from North Carolina to visit your sister in Portland, Oregon is still okay. Still, if you’re trying to bring large amounts of powder through security, you may want to consider shipping it to your final destination anyway. This policy might not be limited only to inbound international flights for very long; it’s possible it could expand to domestic flights in the future. The United States Department of Homeland Security has ended a four month ban on laptops in carry-on luggage on U.S. bound flights from the Middle East and North Africa. The ban was originally enacted because terrorism experts were concerned that explosives could be concealed in electronics as large as laptops and mobile tablets. 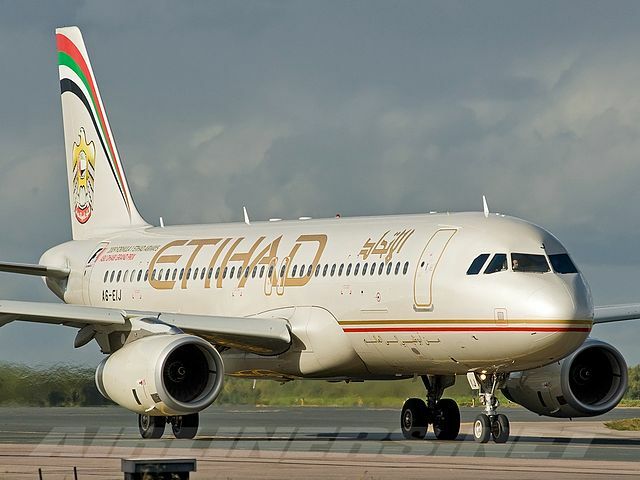 It affected ten airports and nine airlines that are based in the Middle East. The King Khalid International Airport in Riyadh, Saudi Arabia was the final airport to have the ban lifted, after they and the other airlines and airports implemented new security measures designed to check for explosives in the large electronics. Officials visited the ten airports in Egypt, Jordan, Kuwait, Morocco, Qatar, Saudi Arabia, Turkey, and the United Arab Emirates, and confirmed that the security measures were in place. The airports originally affected include Amman, Jordan; Cairo, Egypt; Istanbul, Turkey; Jeddah, Saudia Arabia; Riyadh, Saudia Arabia; Kuwait City, Kuwait; Casablanca, Morocco; Doha, Qatar; Dubai, UAE; and Abu Dhabi, UAE. The carriers most heavily impacted by this ban were Egyptair, Emirates Airline, Etihad Airways, Kuwait Airways, Qatar Airways, Royal Air Maroc, Royal Jordanian, Saudia, and Turkish Airlines. 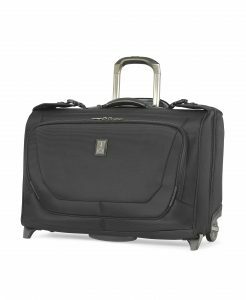 Garment bags often get a bad rap for being an outdated “box on wheels” predecessor to the Rollaboard® luggage that is seen everywhere today. Not so! We like garment bags because they offer a streamlined manner of protecting and transporting business apparel in a way that reduces wrinkling. If you travel for business, and are required to wear suits and semi-formal clothing, you may want to consider a garment bag. For example, you can typically only pack one suit inside the suiter of a regular carry-on. But if you have several suits or jackets, the garment bag allows you to carry several business dress items virtually wrinkle free. The Crew™ 11 collection features three models, a basic bi-fold and two sizes of rolling garment bags. As with the entire Crew™ 11 collection, all are made of high-quality ballistic nylon fabric with a Duraguard coating, and feature a large exterior pocket and metal hanger clamps to keep your garments secure. All are subjected to strenuous testing to ensure durability of all moving parts and abrasion resistance over the lifetime of the bag. A limited lifetime warranty is also standard for all three models. The Bi-Fold has an over-the-shoulder padded strap that can be worn crossbody as well, and has a leather carrying handle. It opens like a book and features multiple accessory pockets for separating and organizing contents. A foam padded roll bar and adjustable hold down straps help prevent wrinkling. 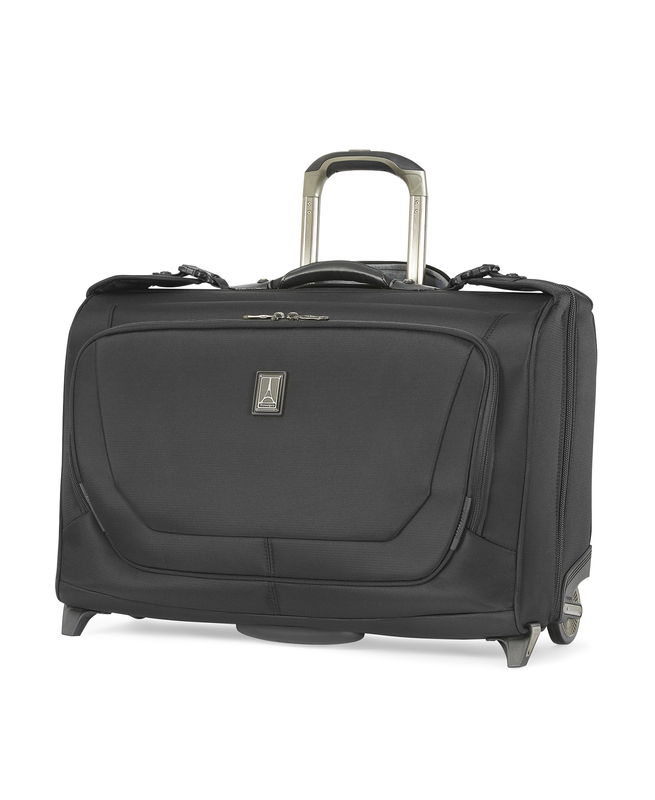 Both the Rolling Carry-on Garment Bag and the 50″ Garment Bag feature a high-performance Rollaboard® wheel system with integrated four-point stability system that keeps the bag from tipping when fully packed and standing upright. They also feature our patented Powerscope Extension Handle which reduces wobble when fully extended. The large compartment in each has a padded roll bar and two adjustable hold-down straps for securing up to four garments, as well as compartments for folded shirts fresh from the cleaners and pants. There are also corner pockets for small essentials such as belts, socks, and toiletries. Do you regularly travel with suits? Are you a garment bag user? What do you typically look for in a garment bag? Share your thoughts with us in the comments below, on our Facebook page, or in our Twitter stream. Deciding what type of luggage you’re going to need for a trip can be almost as challenging as determining your destination. If it’s a business trip, the wardrobe specifications can make that selection easier, but if you’re heading out for a seven- to ten-day vacation, do you use a duffel, a carry-on, a medium Rollaboard® bag, or the biggest suitcase you can buy? 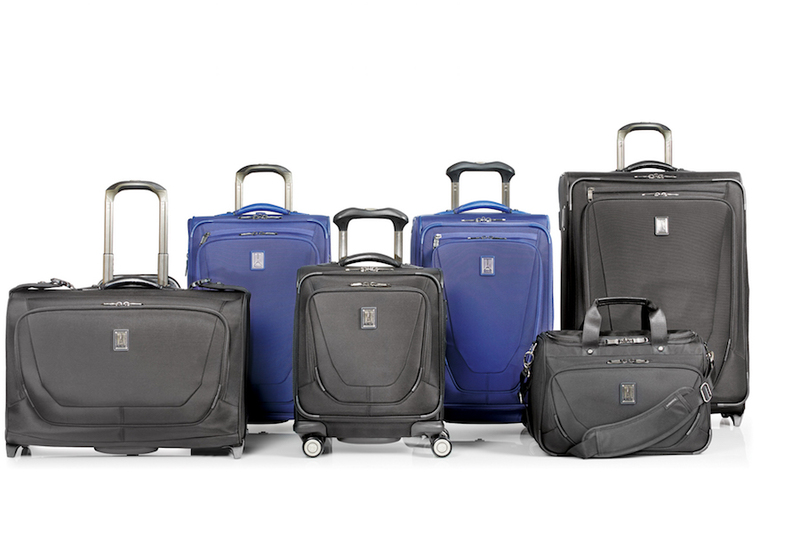 The new Travelpro Crew 11 luggage collection has a size for every type of travel. Am I traveling by car or plane? Do I want to avoid checked bag fees or need extra space for souvenirs so that I don’t exceed the 50-lb. weight limit? How efficiently can I pack? If you’re traveling by plane, my preference would be to use a carry-on. It provides you with complete control of your bag during travel and you avoid waiting at the baggage carousel upon arrival. You also avoid the checked baggage fee, and won’t risk running afoul of any overweight baggage fees. Travelpro®, the leader in luggage known internationally for being Pilot Designed, Flight Crew Tested®, is proud to introduce its bold new Crew™ 11 collection. Designed exclusively for those always rushing to their next destination, this 14-piece collection of Spinner and Rollaboard® luggage is packed with innovations that make travel hassle-free and even pleasurable. Business executives and all frequent fliers will appreciate the Crew 11’s innovative features, such as MagnaTrac™ self-aligning wheels, Power Scope Extension Handle and the Contour Grip designed specifically for Spinner luggage. It also offers an integrated USB Port on select Carry-ons to power-up phones or tablets. 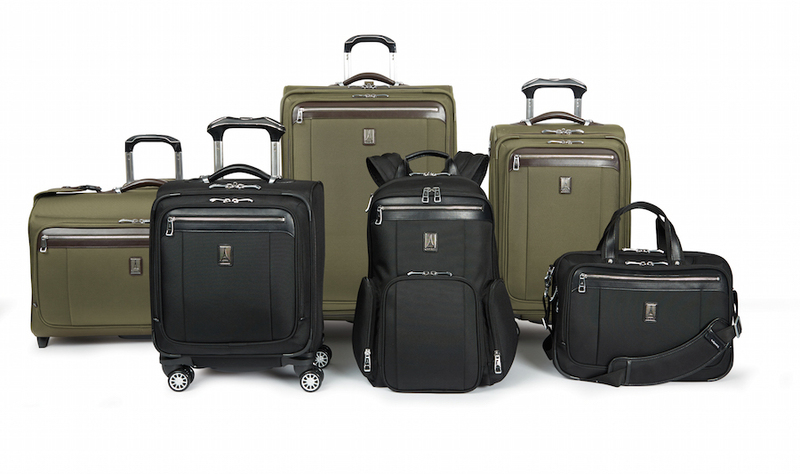 With 10 Carry-ons, this stylish collection is designed for today’s high-mileage travelers. One of the things you may not consider when planning a trip is which piece of luggage to use. Either you’re going to wait and see how much you have to take, and plan accordingly. Or you’re thinking about buying your first piece of luggage, and aren’t sure which one to get. Today, we’re going to present the pros and cons of the carry-on and the pros and cons of the larger suitcase. There’s a size in here for everyone — carry-on, large bag — but which is right for you? The biggest pro for the carry-on centers around savings: saving money, saving time. 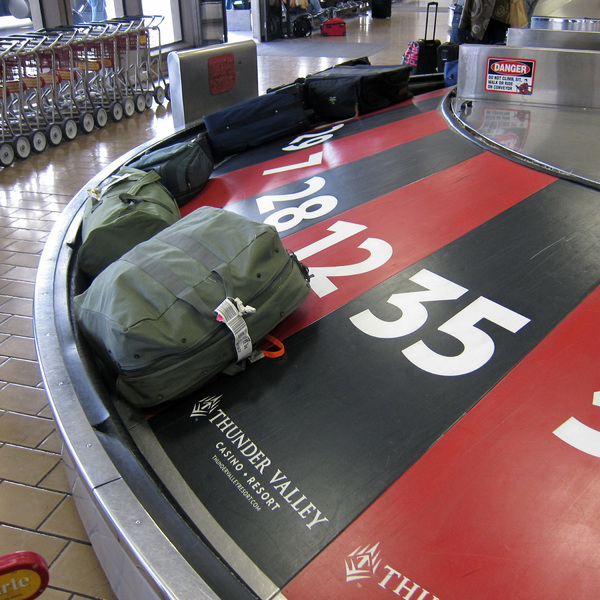 If you’ve priced luggage, you’ll know that carry-ons are cheaper than check-in size suitcases. They also save you money because you don’t have to pay the checked bag fee suitcase users incur when they check their bag.